Brilliant rose coloured flowers on deep green, semi-succulent foliage with a dense, mat-forming habit. Flowering throughout spring and summer. 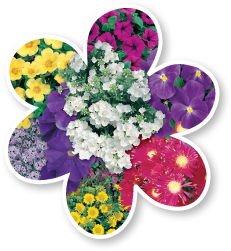 Great for gardens, containers, hanging baskets, rockeries and as a groundcover. Height to 10cm and width to 40cm. Occasional watering.